From the sparkling new to the tried-and-true used vehicles in our lineup, the aesthetic experts over in our service center and body shop, to our enthusiastic rate-reducers in financing, there's no shortage of things to love at Korum Ford-Lincoln. We know your time is valuable, so let us do all the hard work for you; superb service and friendly folks are what you'll find here at 100 River Rd in Puyallup, Washington. No matter your preference, Korum Ford-Lincoln has plenty of Lincoln options to choose from. Our online inventory is constantly being dated with listings of vehicles available in our showroom, including the Lincoln MKX, Lincoln MKC, Lincoln MKZ, Lincoln MKZ Hybrid and Lincoln Navigator.What matters most, though, is your opinion, and which model grabs your attention. We believe the process should be as stress-free as possible, so relax, keep an open mind and try to picture yourself behind the wheel.. If a new 2018-2019 Lincoln isn't what you had in mind, then why not take a look at our wide variety of used vehicles? Every one of them a gem, a complex story of previous ownership, with personality emanating from every line and curve, all at very affordable prices. If you're still concerned about payments, our skilled financial team will help you secure a loan or lease that can fit nearly any budget. Korum Ford-Lincoln, Proudly Serving Auburn, WA, Olympia, Federal Way and Lakewood, WA Makes Car Financing Simple for Drivers in Puyallup, WA. 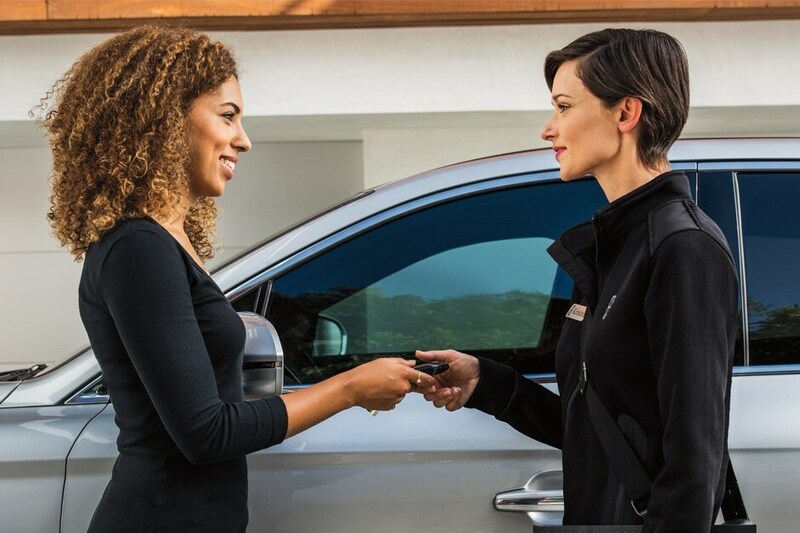 After helping you discover your next new or used Lincoln MKX, Lincoln MKC, Lincoln MKZ, Lincoln MKZ Hybrid or Lincoln Navigator, Korum Ford-Lincoln doesn't simply disappear. We know that car loan and lease options can quickly become confusing, especially when you're not well-versed in the topic. That's when our Lincoln lease experts jump into action; these financial gurus are available to answer any questions that you may have and help to guide you down the path to ownership! The fun of something new doesn't have to end when you drive your Lincoln MKX, Lincoln MKC, Lincoln MKZ, Lincoln MKZ Hybrid or Lincoln Navigator off our dealership's lot. Korum Ford-Lincoln has many ways to keep your car fresh and your driving experience exceptional. Furthermore, our dealership in Puyallup, WA, is dedicated to keeping your Lincoln model running just as well as it did on day one. Our handy onsite auto service and repair department is here for you, whether it's routine upkeep or handling the unexpected. If you'd like to learn more about everything our dealership has to offer, feel free to pay us a visit here at 100 River Rd in Puyallup, WA. When you come to Korum Ford-Lincoln, quality and service come standard.